NID DAT Result 2019 -All the candidates who qualify the prelims, they will be eligible to appear for NID DAT mains which will be held on May 12 or 19, 2019. The result for the same will be declared on May 31, 2019. National Institute of Design announced NID DAT 2019 B.Des result for prelims on March 20, 2019. Earlier the date of the result declaration was March 19, which was changed later. Candidates will be able to check NID DAT result 2019 by mentioning the necessary details on the login window which will be provided on this page. Candidates have the option to get their result rechecked till March 23, 2019 (till 4:00 p.m). After the announcement of final NID DAT result 2019, candidates can also ask for rechecking within a stipulated time frame. NID DAT result will be in the form of a merit list. The authorities will follow certain procedure if two or more candidates score same marks after the announcement of final result of NID DAT. Read the complete article on NID DAT result 2019 which is given below. Note: Candidates must remember that they will not be separately sent the NID DAT score card. If two or more candidates have the same score, the tie-break policy will be used for awarding the rank. How to Check the Final NID DAT Result 2019? Candidates will have to check the result of NID DAT (prelims) by following the steps that are given below. 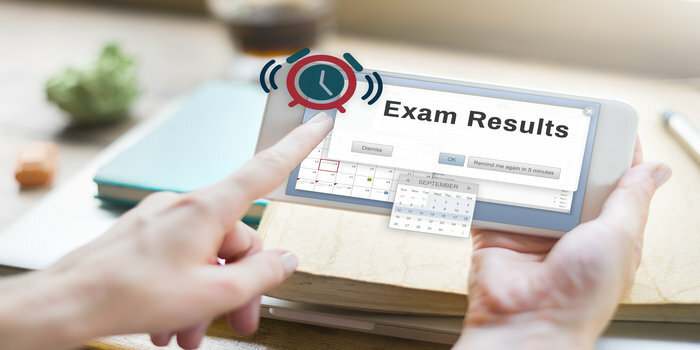 Candidates who felt that there is any discrepancy in NID DAT result 2019, they had an option to apply for rechecking for Prelims after declaration of result till March 3, 2019. The date for rechecking window for DAT Mains will be notified by the authority after the exam. Candidates have to pay Rs. 2000 as a rechecking fee for both DAT Prelims and Mains paper each. The authorities will release the final merit list for the bachelor of design programme based on the performance of the candidate in all the stages of the exam. The merit list for different categories varies. There is a separate merit list that will be prepared by the authorities for overseas candidates. At the time of final announcement of NID DAT result 2019, if two or more candidates have the same rank, the following tie- breaking policy will be followed. How to break a Tie? 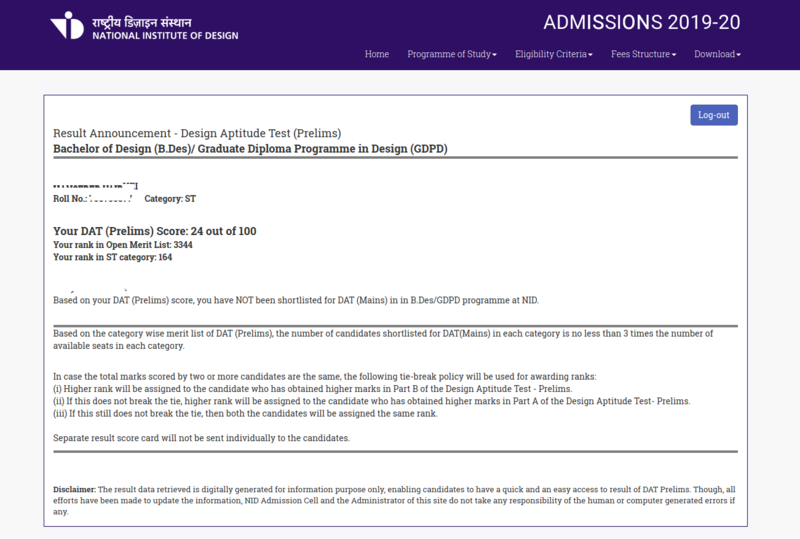 (i) Higher rank will be awarded to the candidate who has got more marks in Stage I Design Aptitude Test Part B. (ii) If still the tie persists, higher rank will be given to the candidate who has got more marks in Stage I Design Aptitude Test Part A. (iii) If the tie still persists, both candidates will be assigned the same rank. Candidates can check the NID DAT cutoff for different categories in the table that is given below.